These are just some of the options of calligraphy services that I offer. 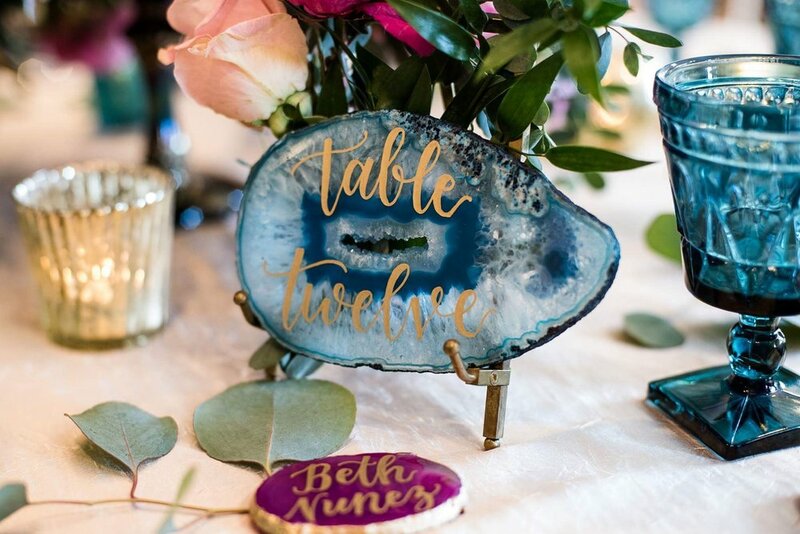 My shop is a fully custom calligraphy shop and my abilities range from classic pen & ink on paper to hand lettered pieces like agate slices, wood slices or chalkboards. download a pricing guide below for basic pricing. Excited about what you see and want to work together? Please fill out the submission form at the bottom of this page or contact me here. READY TO CREATE BEAUTIFUL CALLIGRAPHY TOGETHER? Tell us how you found your way here!